Our snow make up days are as follows: April 18, April 23, May 28, May 29. So, our last school day will be May 29th. We will have a normal start time and a 2:30 release time on the 29th. Please remember that there will be a MS track meet at Mondamin on Tuesday, April 23 @ 4:15. If you have a MS track participant, please remind them to bring their uniforms as this meet was added the day before break. Great week for Spartan track! The girls claimed the title at West Harrison on April 18! The boys took second! Spartan PRIDE!! The MS track team will have a meet on April 23 at Mondamin. Please make sure your children bring their uniforms and necessities for the meet on the day we return from break. Look what just arrived! 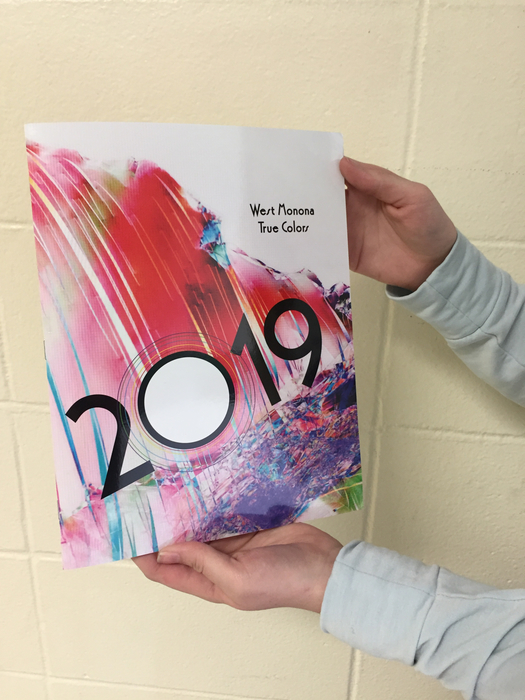 2019 Elementary yearbooks available after spring break for $20. Pre orders will also be delivered at that time. Congrats to the West Monona boys track team! The Spartans took home first place at today’s Spartan relays for the first time in several years! Spartan PRIDE!! West Monona high school art show May 14th, 2019, in the high school library, 5-7 pm. Seniors and undergrads will be exhibiting their favorite works of art before the Senior Awards Night. Free admission. HS Boys golf for today is postponed until May 2 at 4:00 pm. Girls golf at Moville scheduled for April 11 has been postponed until April 18. HS track and MS track for Thursday, April 11 have been canceled. The MS track meet today is at Early, IA beginning at 4:00.